CardMonkey's Paper Jungle: More Hanukkah Greetings! So here we are on Day #3 of my sharing Hanukkah greetings with you. If you've missed Days 1 and 2, please do scroll down to see what's happening here. 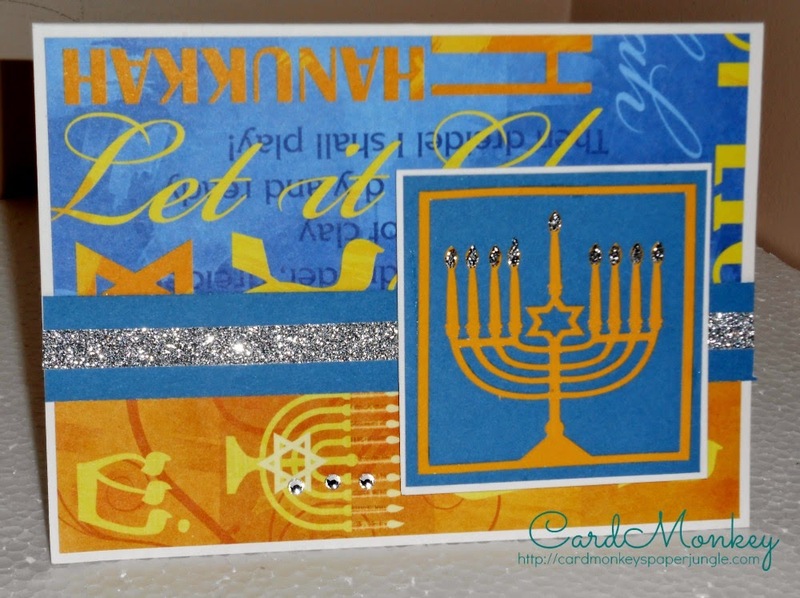 And tune back in tomorrow for the final episode of "Gee that CardMonkey made a LOT of different Hanukkah cards!" In my search to find Hanukkah papers, I found these pretty papers on www.scrapbook.com. 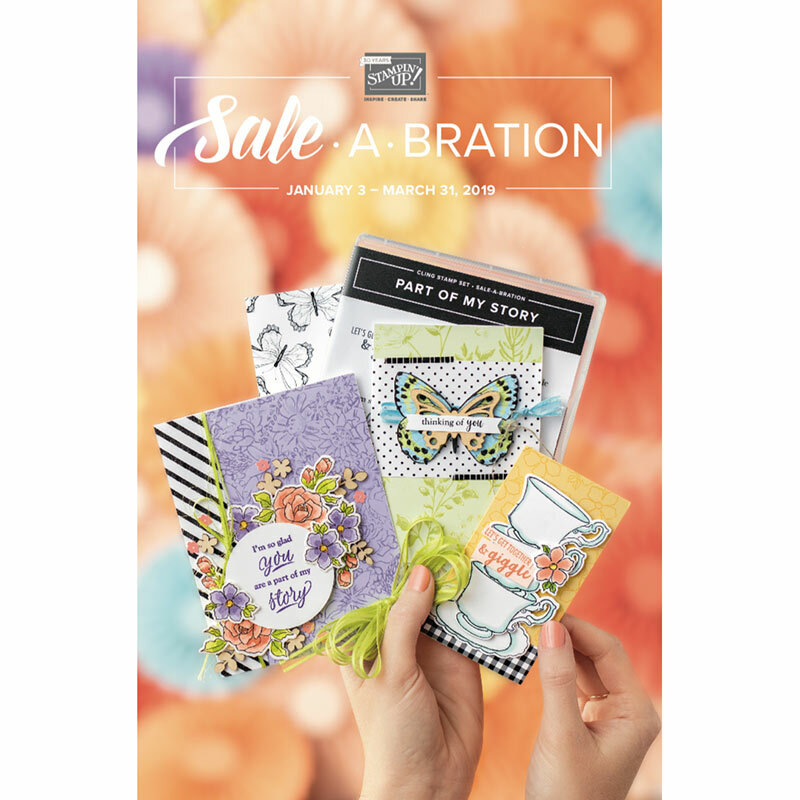 The papers are designed by Karen Foster. The blue is called "Hanukkah Collage" (Click HERE to order your own!) and the gold is called "Festival of Lights" (Click HERE for the gold paper). 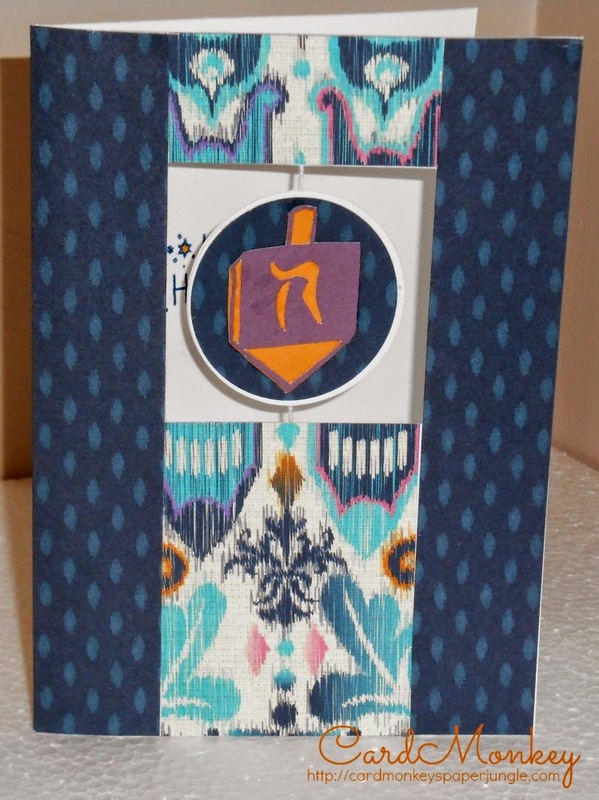 Simply, I cut a piece of "Hanukkah Collage" (the blue) for the top, centering the cut to find a bit of the message that would look good on the top part of the card. I cut a piece of the yellow for the bottom third of the card. For the blue strip, I cut a piece of Close To My Heart's Pacifica cardstock and topped it with a piece of CTMH's silver shimmer trim. The menorah was cut using a Design Space file on my Cricut Explore, and layered onto Pacifica and Daisy White paper from CTMH. 8. A spinning dreidel card that actually spins! This card is actually far easier than it looks, thanks to the pre-cut purchased "Spinner Cards" from Close To My Heart. Once you have the card, the embellishing is the easy part. Layer the left and right panels of the front of the card using a retired paper from CTMH called "Sarita." I have some of this in my stash, and if you need some, don't hesitate to contact me; I will sell it by the sheet. On the reverse side of the blue dotted pattern is the pretty print. Part of the print reminded me of menorah candles, which is why I used it for the center part of the card. For the spinning dreidel, simply punch a 2" circle for the background to cover the pre-made card's white center spinner. I used the matching dotted background for the front, and cut a dreidel using my Silhouette Cameo and a Design Studio file. On the back of the spinner (not shown) is a Star of David. 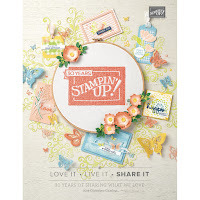 Peeking on the inside is a stamped sentiment ("Happy Hanukkah", surrounded by stars), stamped in Outdoor Denim Exclusive Inks from CTMH and colored using a Marigold color ShinHan Touch Twin marker, also available from CTMH. 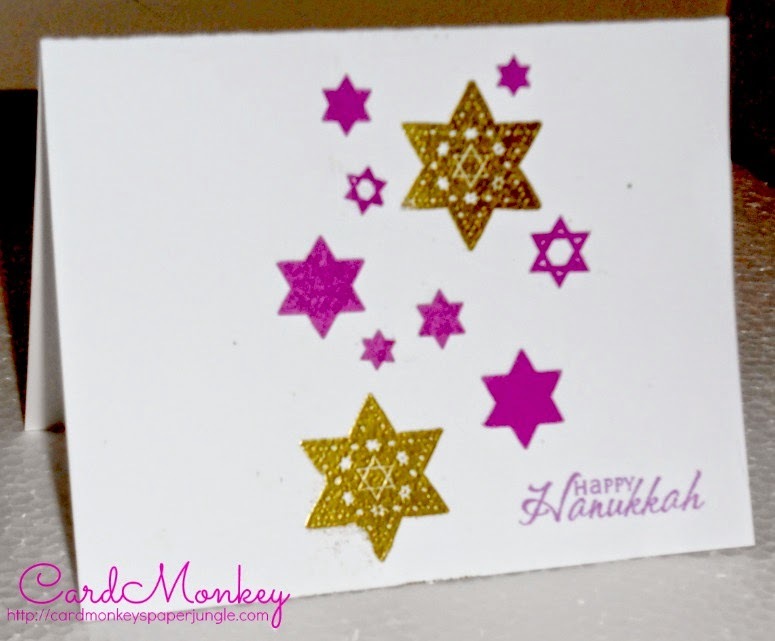 To make this card, I first pre-cut a lot of Stars of David, using my Cricut Explore and Design Space files, in various sizes. I cut them all from Thistle colored cardstock from CTMH, on a single sheet of paper. Imagine how long those bitty stars took to cut on a 12x12" packed sheet of paper! Next, I stamped the sentiment in the lower right hand corner, using Thistle Exclusive Ink from CTMH and a sentiment stamp from Papertrey Ink. Then, I stamped larger Stars of David twice on the card, using Versamark ink (from CTMH) and a stamp image I purchased from Simon Says Stamp. After stamping the large stars, I sprinkled them with gold embossing powder (CTMH) and heat set them using my CTMH craft heater gun. I affixed all of the individual little "falling stars" in a decorative array, using a Martha Stewart glue pen. Stop back tomorrow for the last installment of "How the Hanukkah Cards Spin." Last day of four -- Hanukkah cards galore!